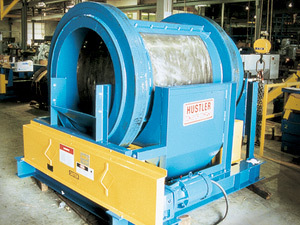 Hustler Conveyor Trommel Screens screen out fines, dirt, and other trash prior to separation. 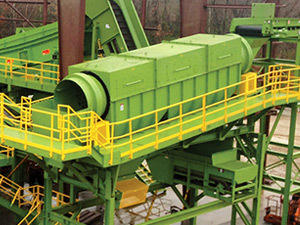 They size and classify materials like solid waste, ferrous and non-ferrous scrap, and much more. Each trommel screen unit is designed to meet your exact application needs for your system. Screens are made from tough abrasion-resistant alloy plate.